From the moment Scott Ganyo taught himself to program on an Apple ][+ in elementary school, he knew that computers would hold a special place in his future. But he started his professional journey in earnest once he enrolled at Millikin University and graduated from the Tabor School of Business at Millikin with a Bachelor of Science in Management Information Systems and joined the burgeoning technology sector. Flash forward to 1998 when Scott joined the startup telecommunications company Interactive Intelligence to become part of the team that brought that company to a successful IPO. Then in 1999, Scott became a founder and the technical visionary behind the launch and establishment of eTapestry - still the #1 web-based non-profit management solution in the world! After much hard work, eTapestry was successfully sold and Scott moved to another startup: Moongate Technologies as VP of Operations where he helped build the company’s brand and consulting group. 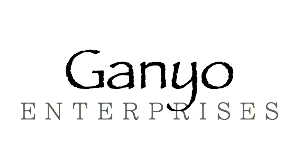 Then, in 2008, Scott launched his own consulting and software development company, Ganyo Enterprises. Scott is a entrepreneur, visionary, architect, designer, programmer and mentor. With 20+ years in technology providing an incredible wealth of experience, Scott provides critical services and knowledge to some of the most progressive and technologically elite companies in the world.